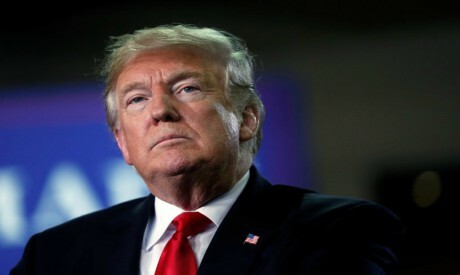 US President Donald Trump on Thursday criticized British Prime Minister Theresa May's handling of the Brexit talks for Britain's departure from the European Union and said another referendum on the issue would be unfair to the side that won. Trump, who met May last summer at Blenheim Palace, England, said he had given her his ideas on how to handle the negotiation on Britain's break from the European Union but that she had not taken his advice. "But I gave the prime minister my ideas on how to negotiate it and I think you would have been successful. She didn't listen to that, and that's fine. I mean ... she's got to do what she's got to do. But I think it could have been negotiated in a different manner, frankly." He also said another vote on Brexit would be unfair, and reiterated that he would like to see a US trade deal with the United Kingdom after it leaves the EU. "I hate to see it being, everything being ripped apart right now. I don't think another vote would be possible because it would be very unfair to the people that won," Trump said.